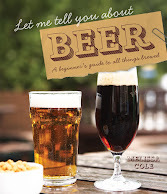 This follows on from the previous thread - I got some feedback from an article that I wrote for CAMRA's What's Brewing? and editor Tom Stainer has kindly agreed that I can reproduce it here - please let me know what you think. YOU may have heard about the launch of Harry’s Beer – designed by, and for, women. On the surface this femALE, as it has been dubbed, has been set up with all the right intentions and a real possibility of making a mark. The brainchild of 19-yearold Shrewsbury entrepreneur Harriet Easton, pictured right, in partnership with local brewery Hanby Ales, it is designed to be a drink that not only appeals to women, in taste and appearance, but in the way it’s marketed too. Very laudable and, regardless of anything that follows, well done Hanby for taking on the challenge and I have a lot of respect for the boldness of Harriet in taking on a market that is, often rightly, perceived as one of the last bastions of sexist and offensive marketing. Take a minute to see what we’ve got to be proud of! Foster’s for example. During a 30-second or so ad we can be treated to a bloke hiding his beer under a tall woman’s sizeable “rack” to keep it cool, or hiding behind an overweight matron to shade his precious pint – it’s pathetic. Or perhaps we could go back in time a bit – anyone remember the supposedly female-friendly Holsten Fusion? Mixed with this pilsner of dubious merits were apple, citrus or blackcurrant flavours – perhaps Al Murray was inspired by this when he coined the phrase “fruit-based drink for the lady”? For me, this captures perfectly the kind of outmoded thinking still held by many beer marketeers – it was just as disgusting as it sounds by the way. But how do you challenge this type of lazy and flawed marketing? This brings us full circle to Harry’s Beer. The story of how this beer was created continues with female focus groups and taste tests to discover what flavours women wanted and citrus was a real winner. At this point I’m excited. The focus groups have identified that they like those brews made with Maris Otter and Cascade and decided they can be greatly enhanced with essence of sweet oranges – okay, I’m not a fan of fruit beers but if this has a touch of zestiness, I can see myself lapping it up during the summer months! Then, inevitably, the story starts to unravel. Now, before I make my case for why the marketing of this product has failed me as a female and a beer drinker, I’d like those of you who haven’t had the dubious pleasure of meeting me to understand something. I am not a raging feminist, and I haven’t come across higher levels of sexist behaviour in the brewing industry than I have in the wider world. So what has really pissed me off about this whole thing is that in the promotional blurb they’ve actually fallen into the traditional “macho” marketing trap by feeling they have to describe Harriet as “strikingly attractive”. Now, before you think I’m bitter because she’s younger and prettier than me, what’s really ticked me off is that the story of this product started so well, only to be undermined by feeling they have to state this beer hasn’t been created by some comfortable shoe-wearing old battle axe, but an attractive young woman – why? Surely only the most sadly misogynistic old git would jump to this conclusion and that by pointing out that she’s a good-looking lass is merely pandering to the macho marketing mindset that this most pro-female of beer brands is supposed to be the antithesis of? And I don’t agree that the cask market is inherently sexist, I think women just haven’t had enough exposure to beer because often, the last time they tried it years ago, it was poorly kept and warm – less common now. And as for the assertion in the press release that many over-the-bar offerings are “high chemical” I can only say this is, at best, naïve and only further helps perpetuate a myth that is damaging to the brewing industry and would urge a retraction. On a more aesthetic note why is she holding a handled jug in the picture? I can’t think of anything less appealing to a female drinker who isn’t trying to out-lad the lads! Surely we’re done with that fad now? Not a lot of people, let alone women, want to be seen holding a jug. In fact one of the biggest complaints I get from women is that the glassware is just so ugly. I must point out that the beer will have “curvaceous” branded glasses – with a daisy on them. I’m sorry, but I’m not a buyer of this either because I can’t see a lot of blokes drinking from a pretty flowery glass and why should they be excluded? Just as women shouldn’t be kept from enjoying beer by ridiculous social mores, why should men be told, albeit subliminally by the chintzy nature of the receptacle, they can’t drink this product either? Being as bad as the “macho marketers” doesn’t make women, any better! But, returning to the million dollar question, how do you challenge this male dominated image of beer through marketing? My answer is you don’t. My assertion is that cask and real ale products need to be smarter than the average beer by giving all members of society, female or male, the knowledge and confidence to try a range of amazing brews; at the risk of sounding like New Labour in the Nineties it’s about education, education, education! I believe journalists, campaigners, beer lovers and brewers should be allowing all ages and walks of life the opportunity to try top-quality beer. Where I think Harry’s Beer did get it right is its creators encouraged trials among its target market and that is a lesson the market as a whole, should take to heart. There should be more sampling at food shows and consumer events, brewers should do more staff training with their customers and pubs should demand third of a pint glasses from their suppliers and sell these legal measures of real ales – it’s seen great success at the Great British Beer Festival after all. We should also not be shooting ourselves in the foot by running campaigns like the, in my opinion, ill-thought-out Ninkasi (used by CAMRA in 2002 to launch the GBBF). And, finally, if you must create a product like Harry’s Beer to bang the pro-female drum please, for the sake of women beer drinkers everywhere, don’t change to a beat that’s in tune with the current macho-marketing mindset halfway through. First of all, congrats for the article. I completely agree that the key point of all that question is education.Education that finally leads society in general to treat people in terms of human beings and not in separated terms of men and women or even worst, in terms of men against women. I actually think the worst part of this beers campaign is the assertion that Women have totally different tastes to men. It is very clear to me that there is a wide range of tastes and once people are exposed to them and given a little education (as you say) their responses are seldom dictated by their gender. My partner who is English has always drunk beer, and found the idea that a beer had to be specially crafted for women mildly offensive. A friends wife is the biggest hop head I have ever met, an imperial ipa as a session starter. I think the myth this marketing campaign is perpetuating is anything but helpful. I just read your article in What's Brewing and liked it - I always find it mildly irritating that women are talked about as if they are a totally different species when it comes to marketing real ale. I've just googled 'Ninkasi' though. Very funny. Bring in a Lara Croft look-alike, that'll have the women flooding in! Er no. @ Kieran: my thoughts exactly. The underlying assumption that women have different tastes than men is such a delusion. I cannot think of any other food/drink which caters for this specific "feminine" taste. Maybe becuase there is no such thing? Well said, and thanks for cutting through the hype. CAMRA’s report of this launch in their January issue took the whole thing at face value, pretty much (from the sound of it) reprinting the press release – even down to the ‘voluptuous and curvaceous’ half pint glasses. That reminds me of ordering a half in Liverpool during my student days: the bar staff would always check who it was for, and if the drinker was female the beer would be served in a ‘tart’s glass’. This one made my jaw drop: CAMRA's chairWOMAN Paula Waters quoted in What's Brewing February "She (Harriet Easton of Harry's Beer) has recognised there are others just like her who want to drink real ale and retain their femininity." As if they have been mutually exclusive up until now. As the author of an article in Pints West, which I entitled Down with the Fe-male - which you can find on-line - all I can say is, I think Melissa has been too polite. This "beer for women" is an insultingly patronising idea, which has made CAMRA a laughing stock among women, landlords, and real ale drinkers in general. This is a pity, since I think it was well-intentioned - it just shows how out of touch those at the top in CAMRA are. This was further evidenced by another attempt to reach out to women at Tucker's Maltings, with the infamous Pink Bar. Not only did a lot of women avoid it like the plague, nobody seems to have told CAMRA that the colour pink has a rather different connotation these days. I'm a CAMRA member, and if I feel like this, what on earth does the target audience think! Blimey - people DO read my articles!